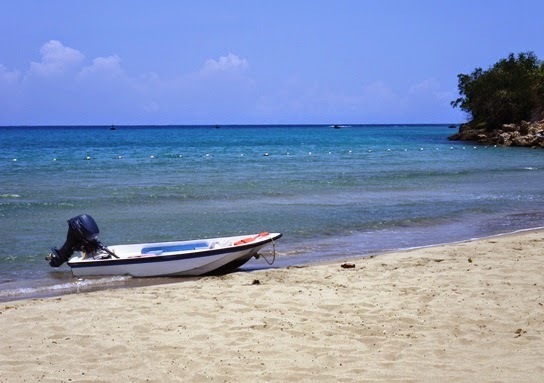 Montego Bay,Jamaica ranks number eight among preferred vacation destinations for Americans. No wonder: It’s the island of happy days—the island of All Right--inspired by a colorful native culture that comes alive in the tropical environment of the Caribbean. The city of Montego Bay is the capital of the parish of St. James and the fourth most populous city in Jamaica. It is a popular tourist destination any time of year because it has duty-free shopping, a cruise line terminal, and several beaches to attract visitors—all with scenic mountains in the background. 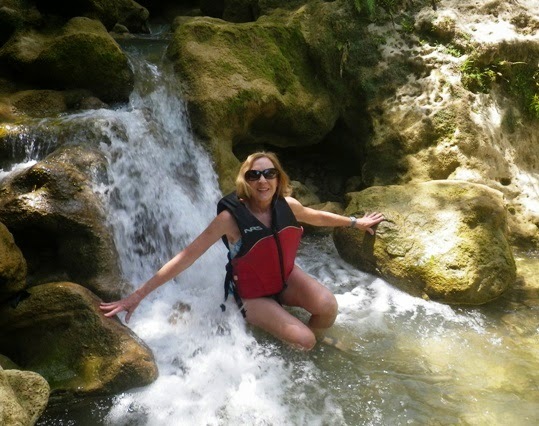 Although we arrived at Montego Bay on a cruise ship, we choose our own slice of paradise by booking our own excursion through http://montegobayexcursions.biz The Montego Bay Bengal Falls and White Water River Rafting Excursion allowed us to appreciate several natural attractions on the island. The first part of our excursion took us on a scenic drive to Bengal Falls. Our guide then led our group on a short walk through the rain forest to the beautiful hidden falls. The cascading water pours over a natural path carved out by the river, so we traipsed over large rocks and boulders (with the strong helping hand of our guide) to several thundering cascades—and a wonderful back massage as we allowed the invigorating water to pour over us. We also climbed and splashed around gentle pools and thoroughly enjoyed the refreshing interlude. Our guide then led us to inflatable rafts at the edge of the river. Safety gear and instructions were given before we started the scenic journey downstream. With the captain steering the raft from the rear, guests navigated the craft on the Rio Bueno River through class one and two rapids--gentle and suitable for family groups. Actually, the current mostly carried us along, so paddling was minimal, which gave plenty of time to admire the jungle landscape and listen to the birds onshore. 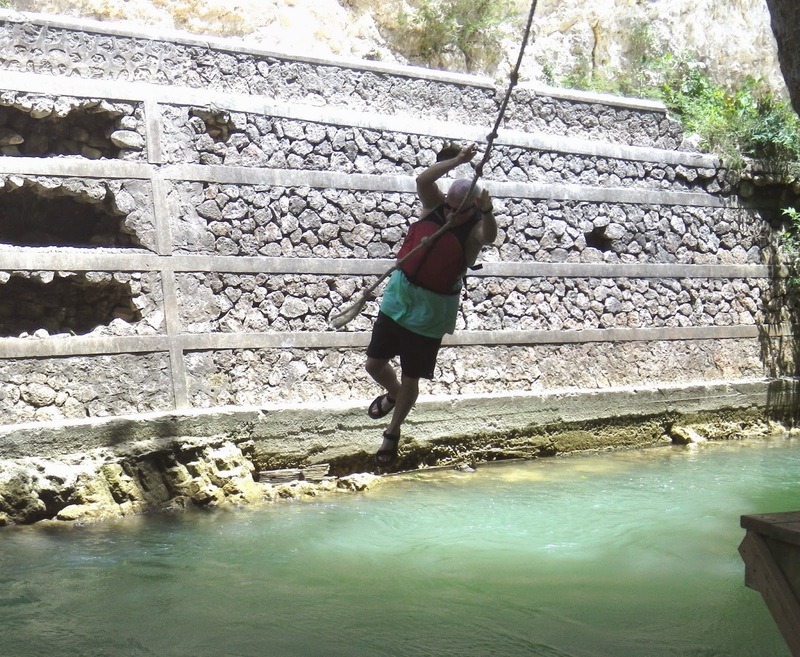 At one point, in a calm area under almond trees, we stopped and took turns flying on the rope swing, dropping into the cool water. After the brief break we resumed our spots on the raft and let the currents carry us over a few more rapids. 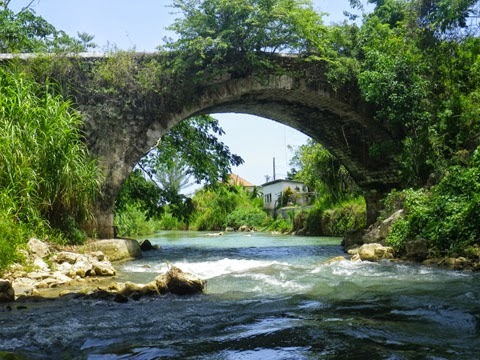 We passed under an old stone bridge as we made our way towards the Caribbean Sea. The river eventually opened up to the sea, and we arrived at a private beach at the end of Bengal Bay. This lovely tropical setting, filled with blooming pink bougainvillea, was the perfect place to relax with a cool drink, listen to some reggae music, and shuffle our feet in the sand. As the day ended we agreed that Jamaica was indeed the Island of All Right.